Discussing the Great British weather is how many of us start a conversation with friends or complete strangers at any time of the year, it seems to be a British tradition, and one that we are renowned for. With the country one moment experiencing a heat wave, the next a deluge of rain, and temperatures recorded at their highest for seven years over the last few weeks; we are all too aware that our weather can change in a matter of hours, experiencing four seasons in one day. The weather constantly changes with the movement of the continental jet stream all over the world. The high pressure that produces hot weather, and is forecast over the next few days, will at some point be replaced by low pressure, which produces wet weather. We are told to expect some much needed rain, but for some, heavy rain and storms will bring their own potential problems, causing flooding and possible damage to crops. Bright flowers in the back garden. A plant needs water to survive just like us and with gardeners and farmers alike all wanting rain sooner rather than later, we thought we would find out when we should water them. Also what can we do to help prevent water evaporation from the ground and around the garden plants. – Look at the soil; is it dusty and dry or solid and moist? – Put a spade into the ground and move the soil, until you can see to the depth of the spade. Does the soil look/feel damp? 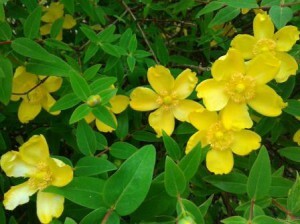 – Look at the leaves on your plant, are they wilting or have they changed colour? 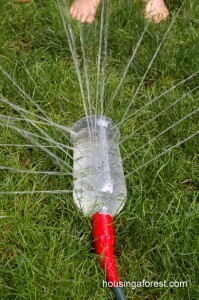 We found this home made garden sprinkler on Housingforest.com which we think appears to work as well as a purpose made sprinkler. – Or in the late afternoon and early evening when the sun has gone down. Watering the garden early or later in the day helps to prevent the heat from the sun evaporating the water too quickly, before it has had a chance to soak into the soil, retaining the moisture in the ground. – Reduce the loss of moisture from the soil by firstly laying a thin sheet of gardening membrane over the ground, cutting holes in the material to allow it to fit snugly around the base of the plants. As well as helping to retain moisture this will also help to stop weeds growing, which in turn will take valuable moisture from the soil. – Add a layer of mulch to a depth of 2” (5cm) over the membrane. Mulch can be stone/gravel/slate chippings or wood/bark chips. – Spread the mulch evenly over the membrane and around the plants themselves. 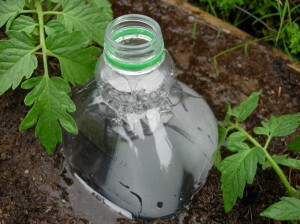 This will help to reduce water evaporating from the ground. 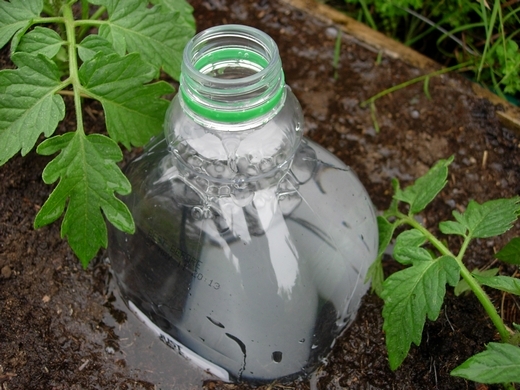 Another idea from Providient Living is to use a plastic bottle, prick a few holes into the sides, bury the bottle up to its neck in the ground/pot, fill the bottle with water. It will slowly drip out of the bottle feeding the roots of your plant. 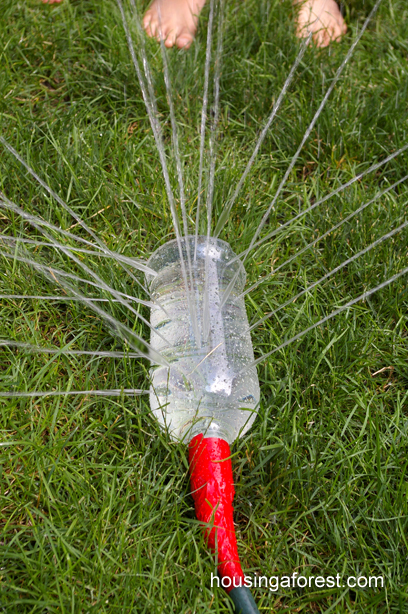 What method of watering your garden will you use? Remember when it is hot, to conserve water where you can, install water butts during the wet seasons that can gather water from guttering and downpipes that can help to water your plants during the dryer periods. Depending on the size of your garden and your ability to water, there are number of options for watering. You may chose to use some or all of the methods above depending on the size and access to different parts of your garden. However, we are sure one of the systems will suit your needs and help to keep your plants looking healthy and happy while you enjoy the view from your conservatory.